According to Rob Sheffield, in his new book Dreaming the Beatles: The Love Story of One Band and the Whole World, “As your life grows longer and your memory gets fuller, the Beatles come with you and mutate along the way. They define the extremes of your memory — they’re with you when you’re just discovering music, too young to know better, and they remain with you on top of all the other heartnoise crowding your chemistry, after you’re supposedly too old for surprises.” If this statement resonates for you — it certainly does for me — you’ll want to read Dreaming the Beatles as soon as you can. But even if Sheffield’s claim sounds alien and presumptuous, this funny, imaginative, thoroughly researched book might well convince you to join the band’s perpetual magical mystery tour. 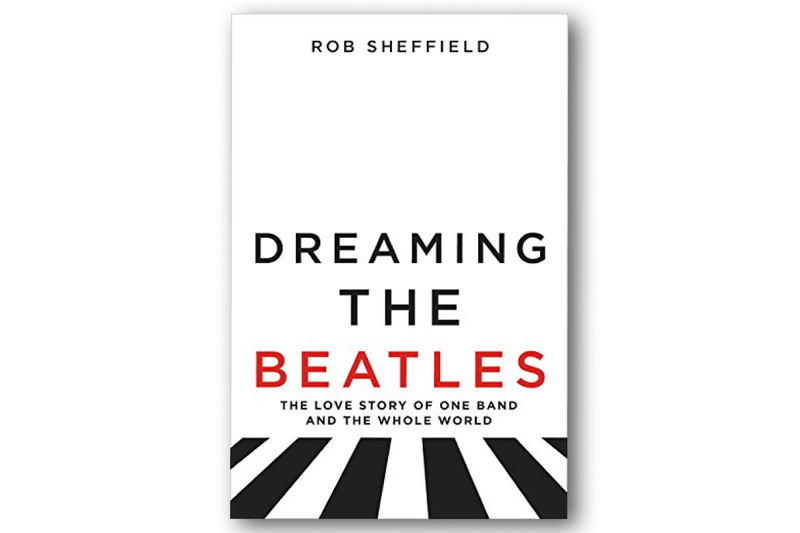 While Dreaming the Beatles generally follows a chronological approach, Sheffield’s book is clearly for those who already know most of the basic facts of the band’s formation, breakup, and afterlife. Rather than simply repeat what’s already been written, he comes at his subject from unexpected angles. Profiles of band members are speculative and philosophical. Sheffield, for instance, claims, “The Importance of Being Ringo” is that he is “one of the holy wise men of rock and roll. Smarter than you, believe it.” A chapter entitled “Instrumental Break: 26 Songs About the Beatles” focuses on improbably inspired artists such as Lil Wayne, Kendrick Lamar, the Beastie Boys, The Chemical Brothers, and even the Muppets, yet the evidence Sheffield selects to prove his thesis about each song is inventive and ultimately convincing. Sheffield spends entire chapters on single songs, often deep cuts like “Tomorrow Never Knows” and “It’s All Too Much” or Paul’s rarely heard in memoriam for John, “Silver Horse.” He finds in these partly forgotten gems insights about the Beatles’ matchless creativity, especially their willingness to take risks that somehow “worked” even when they failed.